Please note this show has now been postponed until Sunday 20 March. All previous bookers will be contacted via email. 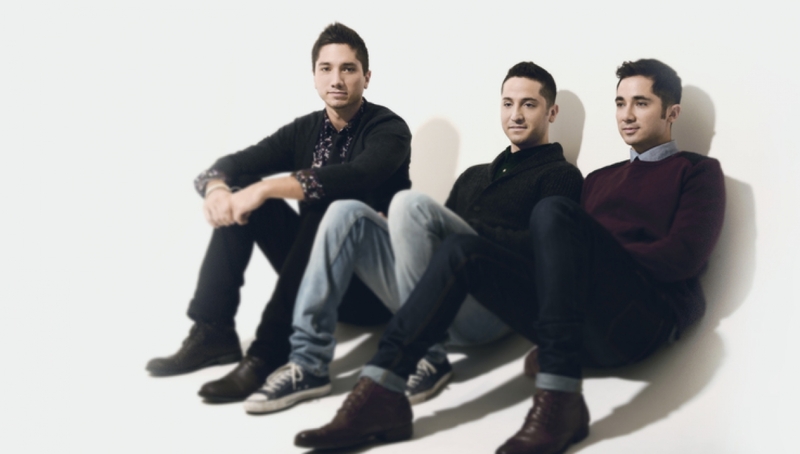 Boyce Avenue, who hold the distinction of being the most-watched independent band on YouTube with over 2 Billion views, is comprised of three brothers – Alejandro (lead vocals, guitar, piano), Fabian (guitar, vocals) and Daniel (bass, percussion, vocals). They started posting songs on YouTube in 2007 performing both covers and originals. The videos resonated instantly and to date the band’s YouTube channel has amassed over 2.3 billion views and over 7.5 million subscribers, making them the second biggest band on YouTube, just trailing Maroon 5. Unsurprisingly Boyce Avenue are one of the biggest live bands on the planet, and will embark on a huge world tour from February in support of new album Road Less Travelled. The album sees Boyce Avenue living up to their international superstar status with the Manzano brothers delivering 11 non-stop gems of sparkling, ingenious pop, as can be witnessed with opener and lead single Be Somebody, which was recorded with the Espionage production team (Beyonce, Train) and mixed by Mark Endert (Maroon 5, Gavin DeGraw). They will be supported by Calum Scott, who rose to prominence on last year’s Britain’s Got Talent, with his powerful vocal abilities. He has now signed to Sony and is gearing up for his first release through the label.